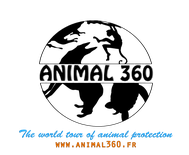 Animal SOS Sri Lanka is an English charity that runs a large dog and cat shelter in Sri Lanka, near Ahangama, on the south coast of the island. We met this association in october 2017. Kim Cooling created this shelter after being shocked by the condition of the animals in the country during a tourist trip. Former social worker, this British founded the association in 2007, the time to raise funds, buy land in the jungle and create the buildings ; the shelter became operational in 2009. At the beginning, it welcomed and treated a handful of dogs and cats; today the refuge has about 1300 residents including a large majority of dogs. They are spread over two large lots of several hectares in about fifteen packs and are cared for, fed, pampered by the volunteers and employees of the shelter. The first time we have entered the center is an experience we will never forget ... hundreds of dogs barking, rubbing against us, looking for cuddles or sniffing our gear! It's impressive, moving and a little exhausting! The peculiarity of the center, apart from the impressive number of animals that live there, is to give refuge to the most desperate cases. 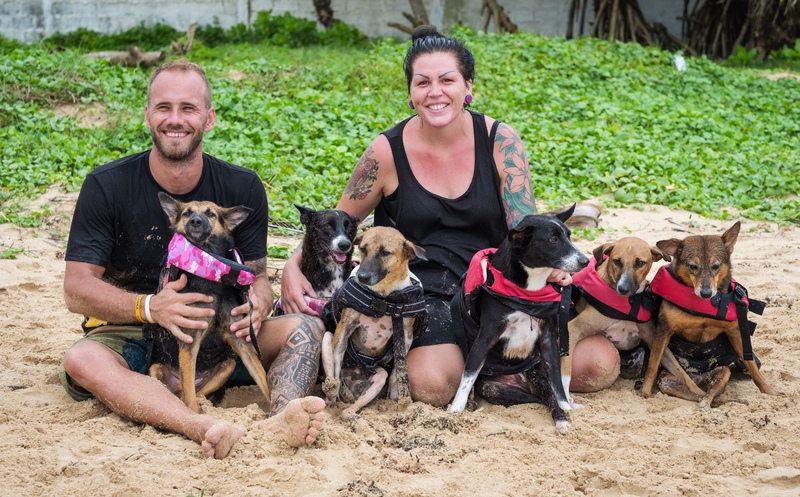 A special unit for disabled dogs rescued from traffic accidents has been set up. The Animal SOS Sri Lanka team can not do enough for them. On the program: massages and daily cares, rides in adapted trolleys, hydrotherapy by the sea and regular veterinary follow-up. 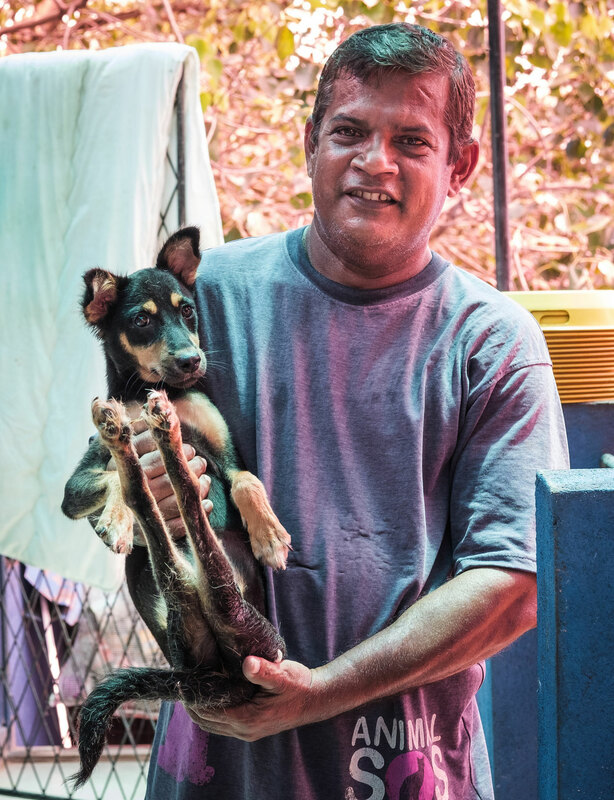 In addition to the many locals who work there as Lal, the specialist in the rehabilitation of disabled dogs or Nanda, the oldest employee of the center, the team is made up of people from all walks of life. Thus Marie, former hairdresser from Norway and Flo, former driving instructor from Germany are the managers of the two sites. Many visiting volunteers also come to the center or simply pay a visit. We witnessed the rescue of a poor dog being devoured alive by maggots, and it made a deep impression on us. We did not think he could survive. And yet! He has since regained his appetite and strength and was baptized 360 in our honor by Flo. This is one of the lessons we learned from Kim and her charity : the will to live of these animals is simply incredible!